Billings, Montana is a beautiful city within a beautiful state that incongruously has battled one of the country’s most intense drug issues. Along with those issues have been the direct effect of drug abuse on depression issues and suicides. The battle on all fronts has evened out the numbers of treatment center admissions a bit – numbers have lessened across the board from early 2017 to the present – but as mentioned there is still a long way to go. If you live in Billings, and have fallen victim to substance abuse don’t hesitate to seek treatment. There are enormous resources in at your disposal. The economy is very strong in Billings, though conversely, incomes do not reflect that statistic. The percentage of residents employed, however, does. Employment is plentiful, for both younger and older residents. Drug trafficking is all-too-common in the region, as is typical in HIDTA strongholds. Our outlook, though, is one of cautious optimism. Several systems have mobilized to fight the issues – inclusive of politicians and federal organizations- schools are offering educational programs, and the state of Montana is receiving federal assistance to help fight its substance abuse issues. The drug battle is ongoing. The availability of drugs will continue to be present, and, for many, so will the temptation. But the help is out there. It is up to you to accept that help. Please feel free to drop us a line with any questions or comments on how we can be of the utmost aid to you. Since 1980, the number of drug offenses in the city has increased nearly 560% since 1980. Methamphetamine use, which decreased year-to-year from 2005 to 2010, has increased year-to-year since 2015. Statewide in 2017, 57% of all drug-related violations was for marijuana, 31% for meth, and other narcotics at 7%. Related statistics for the city of Billings are nearly identical. Heroin use has increased nearly 1600%, both citywide and statewide, from 2010 to 2015. Regarding adult felony convictions in general, 40% of all such convictions are for possession or distribution of drugs. Once again, the city and the state figures are nearly identical. In the city of Billings, and estimated 25% of all young adults use illicit drugs at least one time per month. 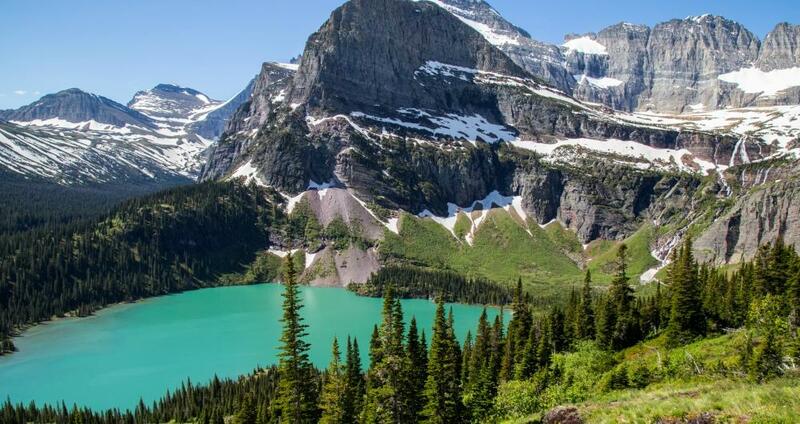 To its credit, the state of Montana has recognized its issues, and is tackling them head-on with efforts such as the above. However, there is a great deal of work still to be done. Unfortunately, for such a beautiful state redolent with nature, its drug problems have infected all of its cities. Billings is Montana’s largest city, with an estimated population of nearly 111,150 according to the 2018 Census. It is the principal city of the Billings Metropolitan Area, and located within the south-central portion of the state. Billings is the seat of Yellowstone County, and the only city in the entirety of Montana with a population of over 100,000. Its economy is strong, and the city continues to experience rapid growth. The growth has been notably consistent and fast since 2000, a fact that had enabled the city to avoid both the 2008-2012 national economic downturn, and the subsequent housing bust. In recent years, the growth has slowed a bit due to recent oil price declines. In July 1806, Billings claimed its place in world history when William Clark (of Lewis and Clark) traveled through the area. On July 25, he arrived at what would become Pompeys Pillar, and wrote in his journal about the “remarkable rock” of which he ascended. Clark carved his name in the rock, which became the only physical evidence of the Lewis and Clark expedition. In 1965, Pompeys Pillar was designated as a national historic landmark, and in January of 2001 a national monument. Present median income for a household in the city is under $50,000, below the national average. Racial makeup is the following: 90% Caucasian, 4.5% Native American, 1% African American, 0.5% Asian. Hispanic or Latino of any Race is listed as 5.2% of the population. The city’s downtown area is rich in arts and culture. Transportation is prevalent by car, rail, and bus. Due in part to the city’s ease of access, Billings is considered a HIDTA (High Intensity Drug Trafficking Area) stronghold by the U.S. Department of Justice (DOJ). The Billings Police Department is the host agency for the Eastern Montana Drug Task Force, a collaborative effort with the Yellowstone County Sheriff’s Office, the U.S. Marshall’s Service, the ATF (Alcohol, Tobacco and Firearms), DEA, FBI, and ICE. The combination of Aid Montana and the Eastern Montana Drug Task Force is proving effective in fighting the state’s, and the city’s, drug issues. By comparison, the statewide suicide average is the highest of any state in the U.S., at nearly 24 incidents per 100,000 people. The rest of the country averages 12.6 incidents yearly, per 100,000 people. Like most of the country where opiate abuses are the fastest-growing problem, users frequently turn to heroin when prescription painkillers lose their efficacy. The various efforts to curb drug abuse issues in the city in part attempt to educate the public on early warning signs. The initial stage of substance usage is either experimental, or recreational. For those who choose to experiment with either alcohol or drugs, most either go no further following the first use, or, in the instance of the latter, they use on a controlled basis. However, that’s a tricky comment and easily misunderstood on its surface. The word most is misleading, as recreational usage frequently leads to heavier usage. Still, the article is highly-informative, and well worth a read, and indeed does go on to explain that those who find their experimentation pleasurable may continue to repeat the rush, and begin to abuse the drug. Continued use is the second state, and tolerance is the third, as the user will look for bigger fixes as old tolerances no longer apply. Abuse is the fourth stage, followed by addiction. Among the steps that must be taken to support the struggles of an addict, while breaking him or her away from their addiction, include: removing the addict from their negative environment (including the company of dealers and fellow abusers) and placing them within a therapeutic community, the necessity of entering a rehab program and participating in psychological and emotional counseling, and how to spot triggers so as to hedge against relapsing. 1) What is holding you back from getting help? 2) Do you believe you have a support system? If so, do you feel comfortable contacting them and speaking about your problem? If not, would you feel more comfortable contacting a professional? And 3) Do you believe you are capable of making an informed decision as to your treatment? If yes, you are well-advised to take advantage of one or more of the resources here. If no, you are strongly advised to contact one of the phone numbers listed here, and discuss your reservations.